The formal starting point is often simple geometric figures that are transformed into new shapes through the contrast between slippery and coarse surfaces and sculptural twists, or consisting of several parts that are put together into a new whole. 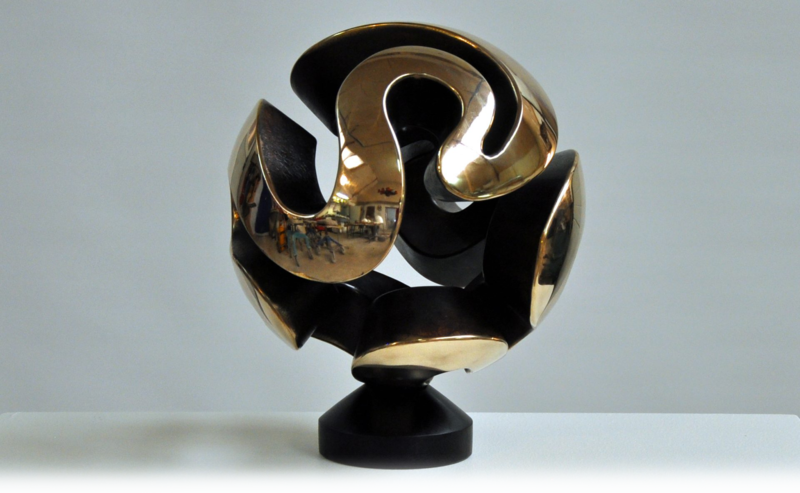 Jens Ingvard Hansen has for many years worked with sculptures as an independent sculptor. He has exhibited throughout the country also abroad. Most sculptures are made in the classic bronze and granite materials, and the overall theme is the thought of life as an infinite movement. “Since I was a child, I have been busy drawing and giving things shape. Most of my ideas arise while I'm sitting with a pencil and a piece of paper - simply.